Our choice of Levi Strauss, this week’s style icon, errs a bit on the unconventional side. After all, Mr. Strauss did live between the years 1829 to 1902, which makes it hard to cop his style unless you’re into suits with many pieces and bowties. Mr. Strauss and his tailor Jacob Davis, the inventor of riveted denim pants, laid the framework for the wardrobe basics we rely on to this day, and that’s why he’s earned icon status forever. What would have been his 175th birthday passed this year in February. It’s incredible to think of a single invention made in 1873 in the Wild West pioneering something that almost every single one of us wear now. They started out as simply durable work pants, and their legacy of heritage and American strength has only deepened. We may wear ‘em for Casual Fridays now, but the Americana they symbolize will always be there. 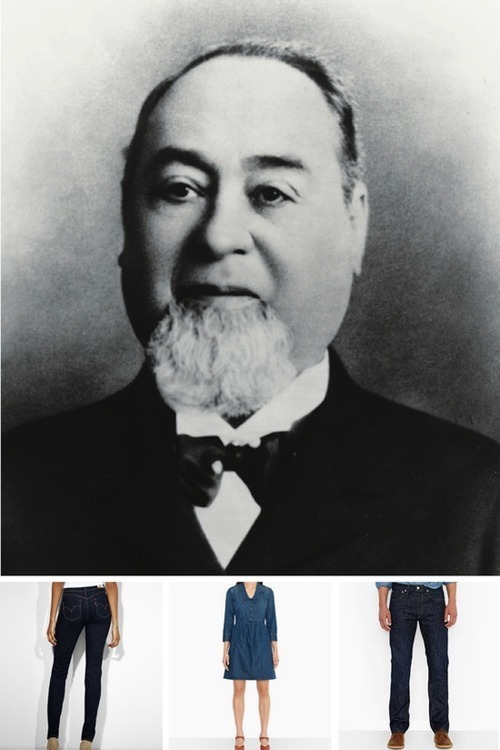 Below we picked a few of our favorite Levi looks, as well as a few other denim makers continuing Strauss’ legacy.